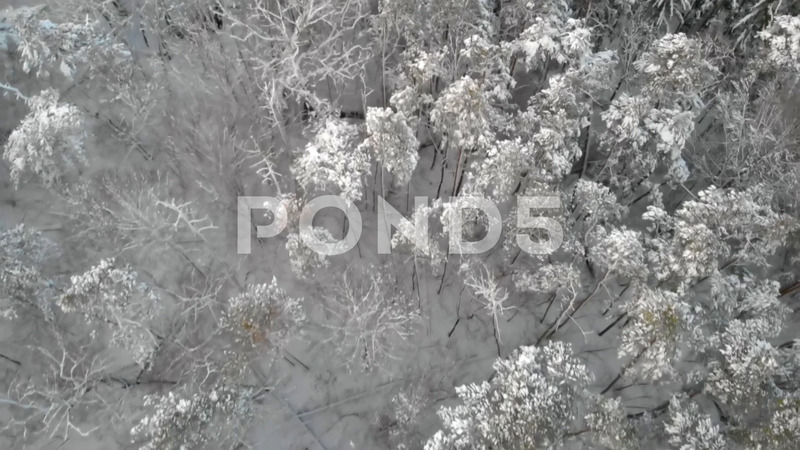 Description: Flying over a forest canopy covered in snow, revealing a rocky outcrop in white. Aerial, lookdown, 4k. Kokorin, Czech Republic.